Do your emails resemble novellas and come with a table of contents? We all want quicker responses to our emails, but we don’t always set ourselves up for success. Novel-length emails wind up in inbox purgatory because no one wants to wade through all those convoluted sentences to figure out what you’re asking for. (Nor do they have the time). As a result, lengthy emails have low response rates and slow response times. The good news? Clear, concise emails have the opposite effect. 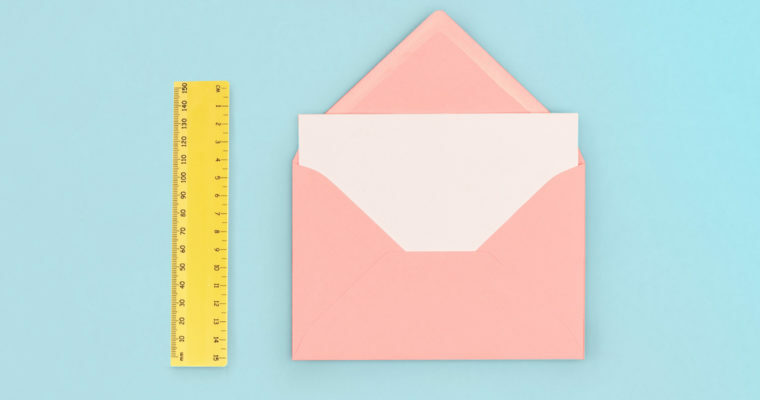 Keeping your emails short and sweet allows you to better communicate your message and increases the likelihood you’ll receive a timely reply. Read on to uplevel your email game and learn five simple ways you can keep your emails short and sweet. If your email length is out of control, try setting a mandatory length limit for all messages. Having your limit in mind before you start writing will help you keep your verbosity in check. A study by found that emails between 75 to 100 words get the best response rates. If word count is difficult for you to track, try limiting the number of sentences. Believe it or not, are all you need for most emails. If you need much more than that, it may be a sign that hopping on a phone or video call may be more efficient to get the answers you need. After you write your email, take a few minutes to read what you’ve just written. This is your chance to check for grammatical errors, cut unnecessary phrases, and rewrite sentences to be clearer. You may discover you took three sentences to finally arrive at an idea that could have been clearly expressed with one sentence. Who are you? (Optional if they already know you). Why they should give it to you? Giving your message a thorough edit before you press send is one of your best defenses for curbing lengthy emails. Nixing the small talk at the start of an email is a great way to shave your word count and get straight to the point. It could also be a great way to offend people. The best course of action always depends on your audience. If you’re still developing the relationship, some thoughtful small talk can be advantageous. If you know the recipient well, small talk may be superfluous (and therefore easily cut). For more guidance on this topic, check out 5 Better Alternatives to “I Hope This Email Finds You Well”. You may think it’s efficient to include every single detail in one email, but the more questions and requests you cram in, the longer and more overwhelming your message becomes. Instead, focus on having one clearly stated goal for each email. This will increase the likelihood that your recipient will read and respond to your message. If you really must include multiple asks, try organizing them in bullet form. How are you doing? I can’t believe the week is halfway over! I was talking with the team today and we realized we weren’t sure if you wanted gold or silver tablecloths. Let me know your preference so we can get those ordered. Also, the caterer wants to know if you prefer tofu or seitan for the vegetarian option. I assume you want tofu but figured we should ask. Oh, and now that the band is confirmed, what time did you want them to arrive? Is 4:00 p.m. okay or is that too late? Gold or silver for the tablecloths? Tofu or seitan for the vegetarian option? What time should the band arrive? Please let us know your answers by noon on Friday at the latest. As your emails decrease in length, you can run the risk of seeming brusque. Including an expression of gratitude in your sign off is a great way to keep things sweet and increase your emails’ response rate. Sign-offs that include a version of “thank you” correlate with a 36% in response rate compared to other sign-offs. Need inspiration? Here are 11 unique ways to say “thank you” in an email. What’s your favorite trick for keeping your emails short and sweet?